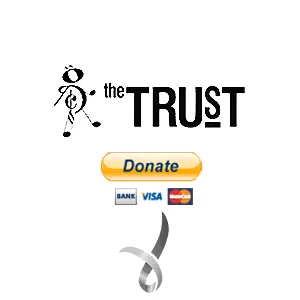 The Trust is a non-profit organisation that supports the arts in Australia and has done so for over 60 years by providing financial assistance to individual artists, groups and companies. The role of The Trust has continued to evolve since its establishment in 1954 but its purpose has remained the same; to support the arts in Australia, for Australia and by Australians. Once the governing body which established and administered some of the countries greatest artistic companies, The Trust continues to play a vital role in the arts in Australia, relying entirely on funding from private donation. The initial intention of The Trust was to develop national theatre, opera, ballet and drama companies that would not only strengthen the performing arts within Australia but also to reach the highest artistic standard. While there was already a great deal of fine home-grown productions prior to the formation of The Trust, it was hoped that continuous seasons of opera, ballet and drama would be given in all capitals and larger provincial towns. The Trust nurtured and saw to independence Australian companies including Opera Australia, The Australian Ballet Foundation, National Institute of Dramatic Art (NIDA), and Bell Shakespeare Company. Today, it is known for its International Music Scholarship Program that provides assistance to musicians, singers and conductors to further professional development abroad.